FAYETTEVILLE, Ark. 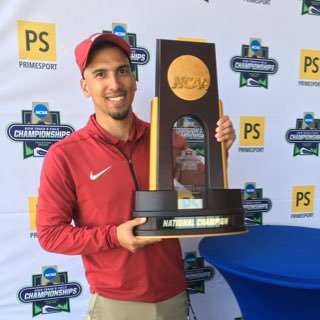 – Arkansas men’s track & field team will send a select group of athletes out west to participate in the New Mecixo Collegiate Classic hosted by the University of New Mexico at the Albuquerque Convention Center Friday and Saturday, Feb 1-2. Razorback athletes Derek Jacobus, Sam Kempka, Gabe Moore, Laquan Narin, Jeff Rogers, and Erich Sullins are set to compete over the two day meet in the desert. Gabe Moore is currently ranked No. 2 in the heptathlon in the NCAA while teammate Jacobus is ranked No. 5 in the same event. Sullins, the program record holder in the weight throw is ranked just outside the top-10 in the event sitting at No. 11 in the NCAA this season. A list of the meets entries can be found here.